Hello Crafty Friends! Today, we are sharing another die-cutting technique that will give your cards an amazingly unique and intricate result. Cover dies are all the rage in the modern card-making and fancy stationery world. So we decided to try our hands on at die cutting large dies and layering them in a way that mimics the results of a cover die. And the final product that we achieved after discovering this technique was so enticing and fascinating that we couldn't wait to share with you later. Let's have a closer look at the creation of this project! 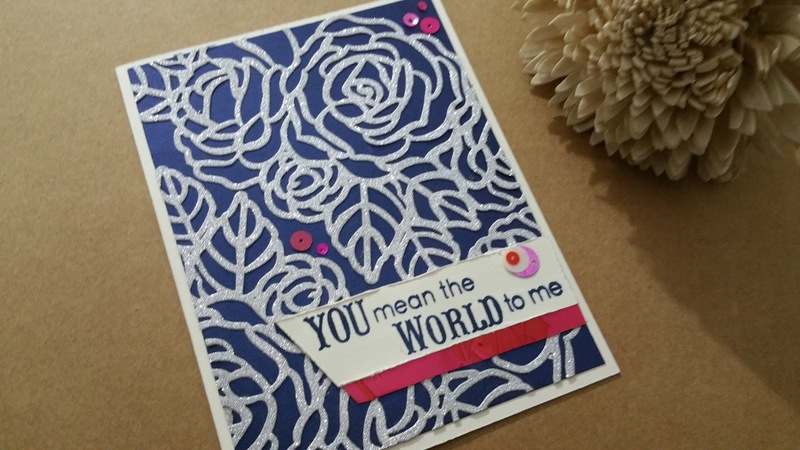 Creating this card got easier with the large dies from blooming roses die set. First we cut a piece of silver glitter cardstock twice with one of these dies. We saved the negative pieces (petals and leaves) for another project that we will share later and only used the positive (outline) part for this project. To give a shiny dimensional look we adhered the die cuts onto a metallic paper and used colorful sequins as accents. To finish the card we stamped "You mean the world to me" sentiment from Pemberely stamp set and cut one of the edge at an angle. 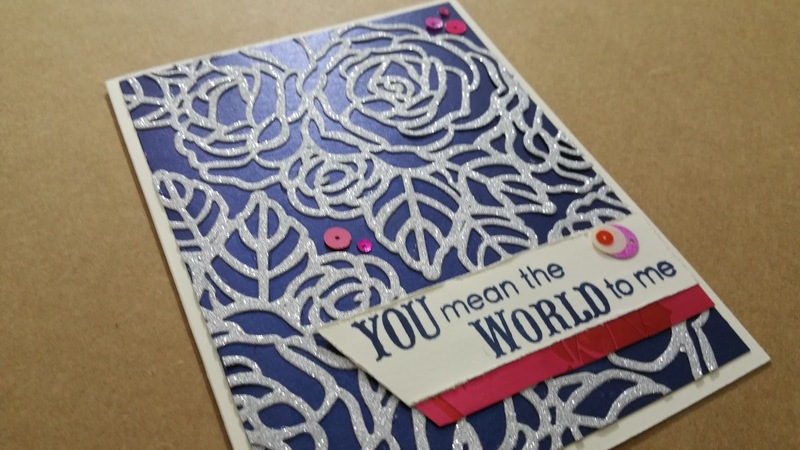 We glued the sentiment onto a foil sheet and adhered it to the card front. The result is a card with lots of glimmer, dimension and detail. 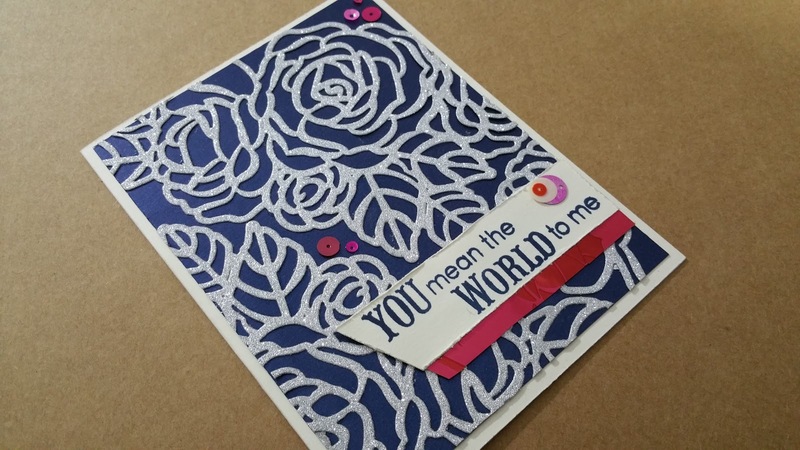 Want to make this card but don't have the right tools? 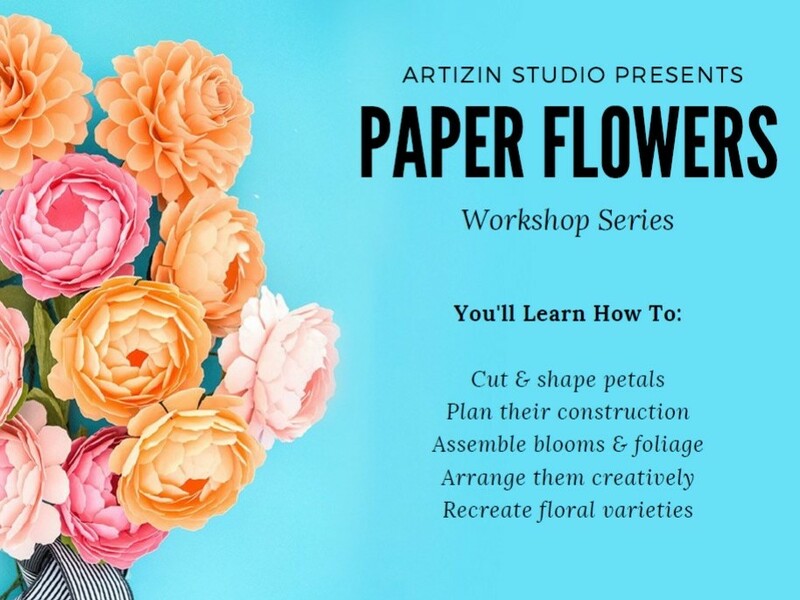 Simply book your spot and walk-in our studio by yourself or with a bunch of crafty friends to create your own projects using our tools and materials. Alternatively, purchase the DIY kit and follow the step by step instructions to finish this project from the convenience of your home. Subscribe below, if you haven't done so already and get more inspiring ideas and projects delivered straight to your inbox. We also have videos to help you master new techniques, develop new skills and make your own projects. We always share the latest trends and techniques in the paper crafting world on our social pages too. You can find us on Facebook, Instagram, Pinterest, Twitter and YouTube. We encourage you to inspire us and our followers by posting your creations on Instagram or Facebook using #imadeitwithartizin.